The Hague: Appeal of Artem Khachaturyants concerning the Chechen detained in Bosnia. 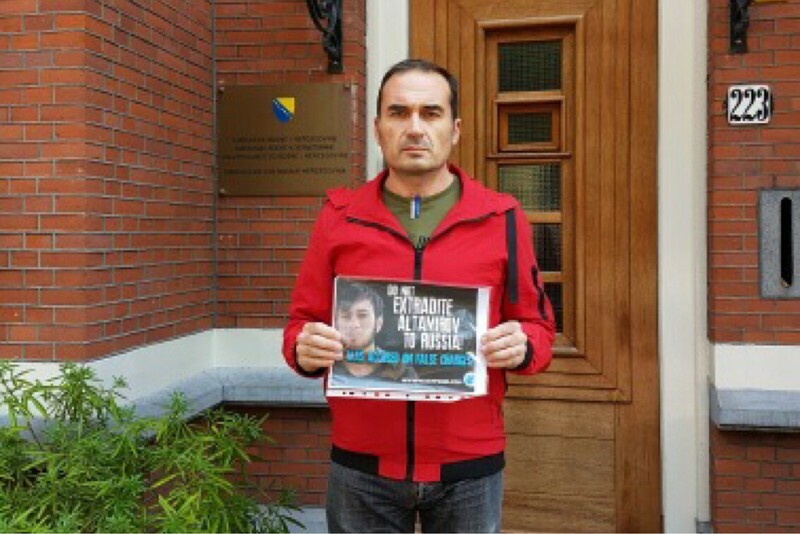 Today in the city of The Hague in front of the Embassy of Bosnia and Herzegovina, Artem Khachaturyants (physicist-engineer, specialist in nanotechnology) held a single-person picket in support of Akhmed Altamirov, who is going to be extradited to Russia from Bosnia. Artem appealed to the Bosnian authorities not to make a mistake which will cause sufferings of an innocent person.